Today Mommy's Little Miracle is featuring a brand who is taking the pumping world by storm and giving pumping moms everywhere the opportunity to combine fashion with functionality- Sarah Wells Breast Pump Bags! Savy Mommy's Thoughts: I exclusively pumped with my first two babies and I now pump while I am away from Savy Baby. One of the things that I have always disliked were how noticeable (and unfashionable) the pump bags are! I mean, why can't they be super cute and blend in with regular bags? 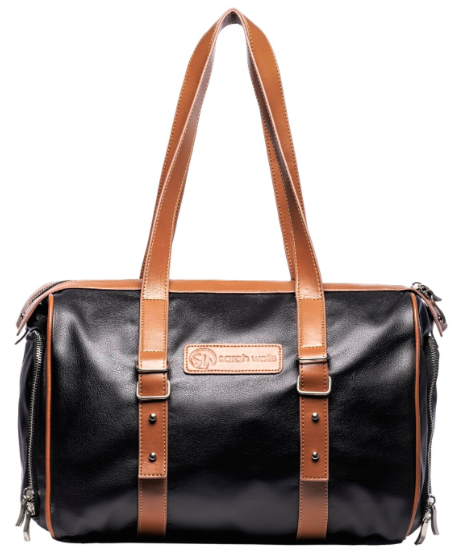 I love the Sarah Wells bags because they are functional and stylish! My pump is such a important part of raising my babies, so it should ride in style! 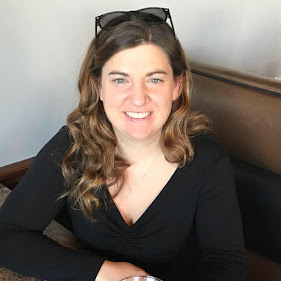 "The idea for a stylish and uber-functional breast pump bag came to me in 2011 after the birth of my daughter, Maddy. Breastfeeding was really important to me, but the transition back to work and carrying a pump brought about some challenges. Everyday I schlepped a purse and my (quite ugly) pump bag; throw in an extra case for my iPad or laptop and a lunch box and I felt like a pack mule walking down the streets of Washington, DC. I just couldn't find an "all-in-one" bag that could separately store my breast pump and everything else I needed to carry. I suppose you could put your pump equipment in your existing purse or buy a nicer tote. But will it have special breast pump pockets, keeping equipment and bottles separate from everything else, let alone lined with easy-to-clean material, all while being fashionable? This is how Sarah Wells bags were born." The first bag introduced by Sarah Wells Breast Pump Bags is the Maddy bag! As functional as it is stylish, the Maddy measures 13" in length, 8" in width, and 11" tall, and the straps on the Maddy have an 11.5" drop! The Maddy was designed to fit most brands and models of breast pumps and although some may be to large for the convenient side pockets, they will fit comfortably in the main pocket of the Maddy bag. Being that most pumping mommy's take their breast pumps to work with them, they need a place to keep their breast milk cold while they finish up their day at work. While some moms prefer to use the cooler that their pump may have come with, and some store their breast milk in a communal fridge at their workplace, there are some moms who just aren't comfortable with that! For those of you who prefer discretion, you're in luck! The Maddy bag has undergone testing that shows that the side pockets of the bag can keep your refrigerated breast milk cold, or begin cooling your recently pumped milk, for up to four hours when you use proper ice packs. External temperatures do affect this though so always make sure that your breast milk is stored properly! There are so many great features to the Maddy bag by Sarah Wells Breast Pump Bags that make this a pumping moms must have! To learn more about Sarah Wells Breast Pump Bags, use this link! To Purchase: You can grab your Sarah Wells Breast Pump Maddy Bag for just $145.00 on Amazon! 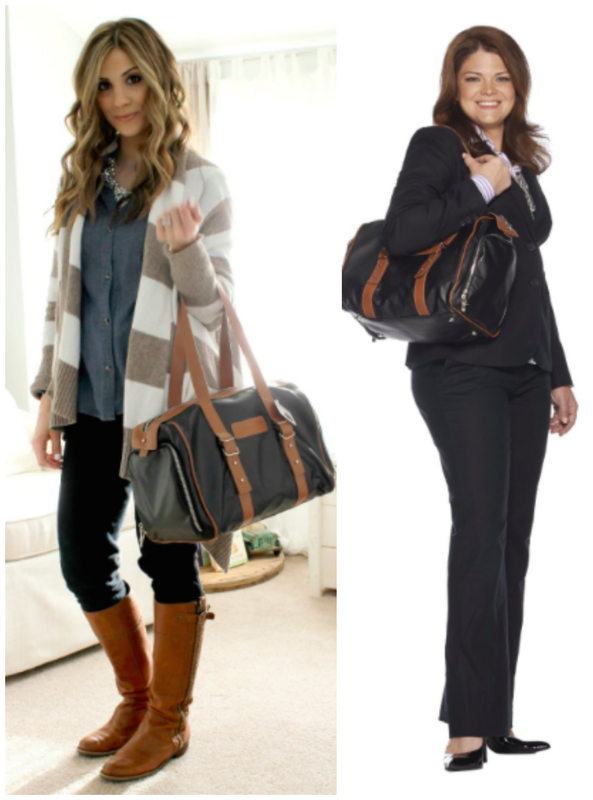 The Maddy is also eligible for Prime shipping, so you lucky Amazon Prime moms can have your Maddy bag in just two days! 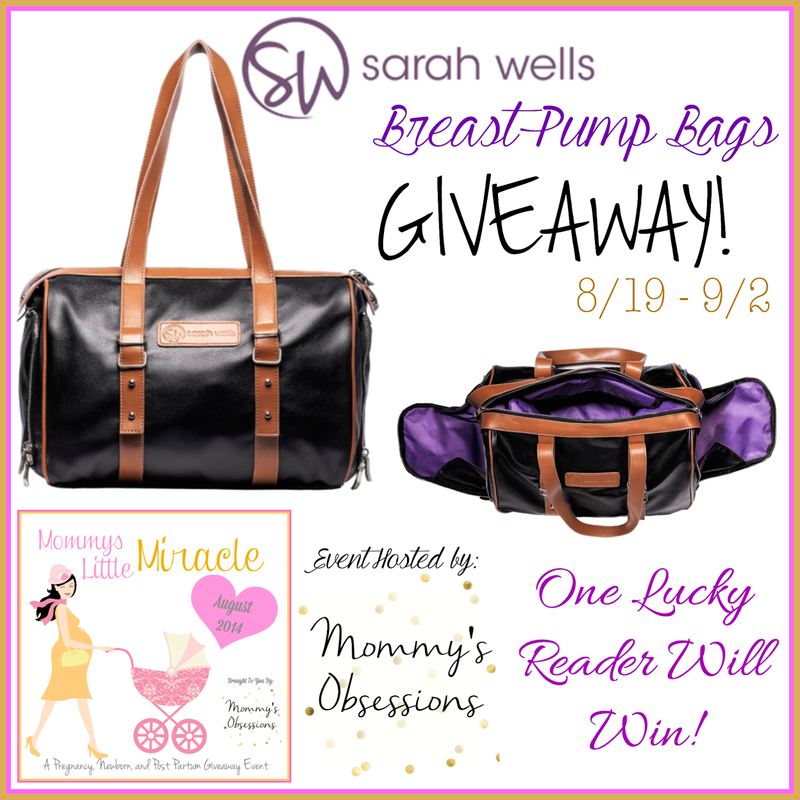 To Win: Mommy's Obsessions and Sarah Wells Breast Pump Bags want to give one lucky pumping mommy (or potential pumping mommy!) a Maddy bag of their own! The Giveaway will close late on the evening of September 2nd. The winner will be chosen at random through Giveaway Tools. The winner will be announced both on Giveaway Tools form as well as notified by email and announced on Mommy's Obsessions Facebook. Winner must respond within 48 hours of receiving their winner's email otherwise they will forfeit their prize and a new winner will be chosen. The winner will have their prize sent to them by Sarah Wells Breast Pump Bags. 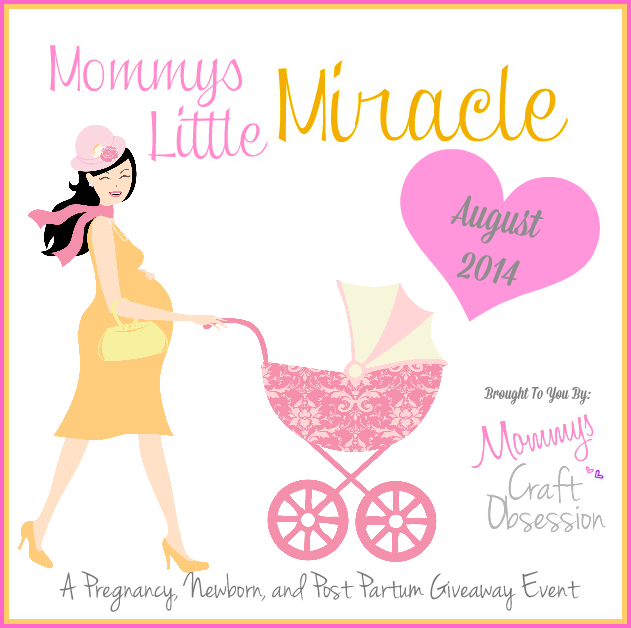 Mommy's Obsessions and other participating bloggers are not responsible for prize shipment. Must be 18 years and older. Facebook, Twitter, Pinterest, and Google are in no way affiliated with this giveaway. No Purchase Necessary. Void where prohibited by law. US Only. For any questions contact Mommy's Obsessions. Mommys Obsessions did receive compensation or product in exchange for the promotion of this event. 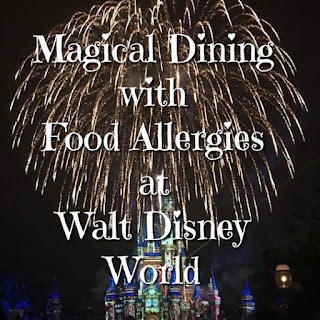 This blog did not receive compensation for the promotion of this event.